Established 15 years ago, Powerprint provides top quality single to full colour printing at an excellent price. In addition to our offset printing you can also benefit from our variety of digital printing capabilities. 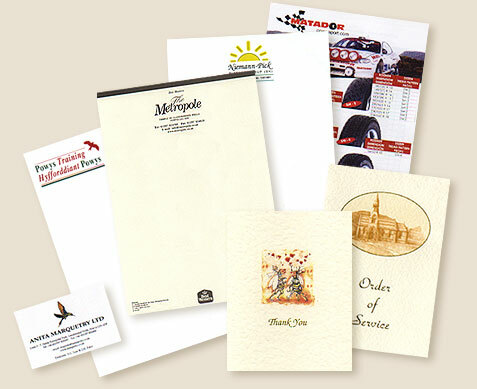 Digital printing will allow you to gain on turnaround and short run printing jobs. At last, full color printing at reduced cost - contact us today for your free quotation. Our experienced design team will articulate your requirements with concise solutions, or alternatively output from your discs. Our shop in Mid-Wales also stocks a wide range of office stationery and has excellent full colour photocopying facilities. Call, email or visit us today to see what we can do for you!